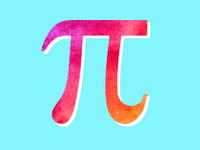 With Pi Day coming up, we wanted to shout out to all the amazing YouTube creators who are making math videos! 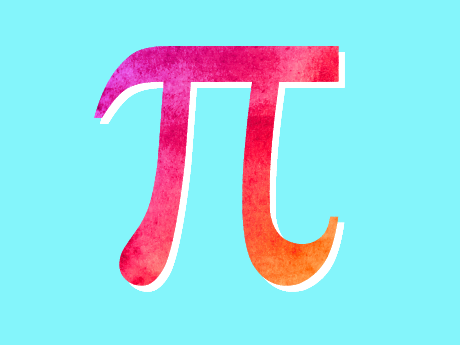 (Of course, if it's Pi Day videos you want, check out our "Hooray for Pi Day" post.) Math may not seem like a natural fit for the visually-driven medium of video -- but you'd be amazed by the creativity of some of these creators who bring the complexities of all levels of math to life on the small screen. Math teachers, this one's for you! Want to show your students the math behind online dating? Or share the equation behind Michael Jordan's legendary hang time? Or explain why honeybees love hexagons? TED-Ed's "Math in Real Life" playlist can help you out, and each video links to a lesson plan. This popular video explains the Infinite Hotel Paradox. If you're not familiar with Vi Hart's quirky Sharpie animations and stream-of-consciousness mathematical explorations, you should be. She has a way of taking you down a rabbit hole of philosophical wonderings -- watch a few of her videos, and you'll be hypnotized. Khan Academy is the go-to resource for homework help on a mind-boggling array of subjects, but the now-giant company all started with Sal Khan tutoring his 12-year-old cousin Nadia, who was struggling with unit conversion. Listen to Sal's soothing voice explaining arithmetic, algebra, calculus, geometry, trigonometry, and more. Khan Academy isn't the only player in the game of explainer videos for granular math problems; PatrickJMT also offers hundreds of videos on topics from derivatives to quadratic equations. He boasts half a million subscribers, and he takes requests! Prolific YouTube creator Brady Haran runs about ten YouTube channels; Numberphile is where you can find engaging videos of professors exploring all manner of math-related topics. This one features Katie Steckles explaining the fold and cut theorem. Elementary math teachers, we haven't forgotten about you -- Numberock is a new channel, created by a fifth-grade teacher in Massachusetts, that offers catchy animated math music videos for third, fourth, and fifth grade. You can also find related worksheets, word problems, and quizzes for a very reasonable price on Teachers Pay Teachers. One of the things I love most about energetic math teacher Rob Tarrou's math videos is that he uses real chalk on an old-fashioned chalkboard, and the most lovely cursive script, to write up his problems. His website offers organized lists of all his lessons -- he's made more than 500 videos since 2011, all while teaching full time. Need to wake those students up at the start of a unit? Try showing them a clip of Matt Parker, the standup mathematician. A former math teacher from Australia, Matt Parker has made a career out of being both a stand-up comedian and a math communicator -- often at the same time. CalculusExpert is the channel of math educator Krista King, and she offers videos to help every level of math, from fundamentals to calculus. Her website offers subscription-based access to teaching resources for courses at all levels of math, but everything on YouTube is free, of course! Her playlists are a great place to start. When all else fails, engage your students by making a music video of a popular song with a math theme. Westerville South High School in Ohio has made an art of this -- their YouTube channel WHSHMath features seven math music videos, and this parody of Nicki Minaj's Super Bass has more than 1.5 million views. I hope this playlist has inspired you to find some creative ways to get your students excited about math, or at the very least provided some great resources for homework help. There are so many passionate math educators out there sharing their knowledge and working to improve math's reputation as a dull subject! If you have favorite resources, please share them in the comments below.